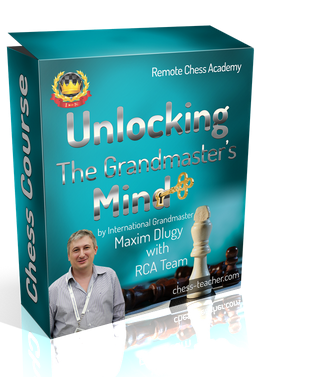 When the Remote Chess Academy (RCA) started some years back, the first course I created was the “Grandmaster’s Secrets”. 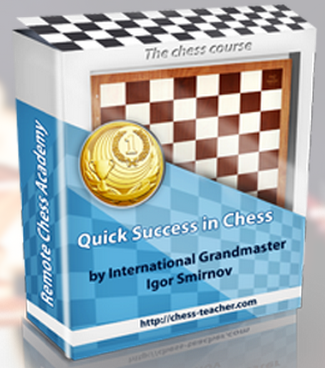 Thousands of my students have studied this course and made some improvement (huge and small) in their chess career. However, I’ll be honest with you – there were some negative reviews as well. Some said that the presentation of the lessons was not that good compared to their quality. I have been thinking about this for quite some time, and now we have decided to polish the course and take it to the next level. If your next question is, “I’ve already studied the ‘GM’s Secrets’ – should I buy the course again?”: well, in that case, you need NOT buy the course again – the second edition is FREE for you, if you have studied it already. Note: if you have already studied the course, you’ll be contacted in the following days and provided with the second edition for FREE. As usual when we celebrate the release of a new course, I’m providing you with a huge 25% discount on the new edition of this course! Use the coupon “25gms” when making your purchase. If you don’t know how to use a discount code, please see here. The coupon will be valid from today until Friday, 4 March (inclusive). If you haven’t yet studied the course, this is the perfect opportunity for you: grab the second edition – an improved version of the course – at a huge 25% discount. Don’t miss it! How to make use of important chess squares? Some time ago, our guest coach IM Boroljub Zlatanovic prepared a lesson for you on the topic “Weak Squares”. If you missed it, you can watch the video lesson now here. Today, Boroljub has prepared another lesson for you on a similar topic – the right squares for your pieces. Boroljub will explain to you clearly how to occupy the key squares with your pieces and grab a tiny advantage, and then convert it to a win. Let’s go to the lesson now. 1.c4 c5 2.Nc3 Nc6 3.g3 g6 4.Bg2 Bg7 5.a3!? With the idea of expanding on the queenside. 5…d6 6.Rb1 a5?! b4 is stopped but b5 is weak now 7.d3 Bd7 8.Nf3 Nf6 9.0-0 0-0 10.Bg5 – with the idea of provoking h6. It will be clear soon. 18.cxb5 Nxb5 19.Nxb5 Rxb5 20.Rxb5 Bxb5 21.Qb3 is better for White, but that position could not satisfy him]. Ne5 [15…Na7 is too passive 16.a4± 15…Nd4 16.Nxd4, with idea of provoking h6. Black must take with the pawn. 16…cxd4(16…Bxd4? 17.Bxh6) 17.a4± White’s initiative on the queenside must be faster than Black’s play on the kingside or centre]. Suddenly, Black is lacking harmony in pieces and space; he cannot provide the typical advance of the e-pawn and the f-pawn, and must play very precisely. 18…d5! 19.e4 Of course, that is connected with taking a risk, but what else is one to do? Black intends to play d4, stopping the pawn on e2, and later use d5 with the knight 19…b6? After that move, the game is almost over. Black is without any real counter-play and can only wait for White’s growing initiative on the kingside. 21…Ne8 22.f5 – continuing expanding. 23.h4! Not only preventing g5, but also getting ready for Bh3, with the idea of preparing a strategically logical exchange of light-squared bishops. 23…Bc8 24.Bh3 Nd6 25.Qb3! c4 is the most influential square on the board and it is extremely important to have continuous connection with it. Soon White’s queen will dominate on c4; later on, maybe a bishop and even the king in the endgame can use the route b3-c4-d5.25…Nxc4 26.Qxc4 g5 27.hxg5 hxg5 28.Bg4! 39.Qh5+- Bc8 40.Bd5 Bd7 41.Kf3 Be8 42.Kg4 Bd7 43.Bxg5! The most direct winning idea. You can download the PGN file of this game here. Millions of chess games have been played over the history of chess. But there is only a small percentage of games that will be the most influential, most important and most instructive. 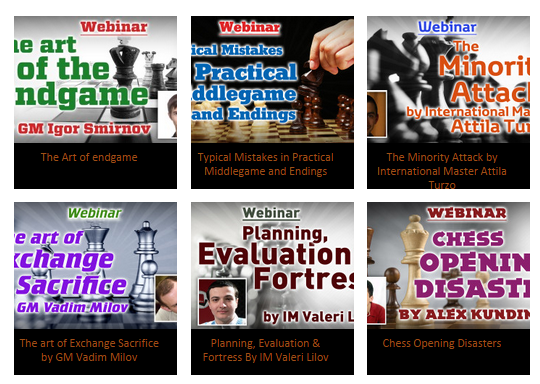 And every aspiring chess player simply MUST know these few games. Today we will talk about one of them. It was a game played by the greatest player from the U.S. (probably together with Bobby Fischer), Paul Morphy. In this video lesson, I will not only show this game of Morphy’s but will also explain the main ideas he used in it, so that you can do the same in YOUR own games! For instance, in this game, you will notice that Morphy did not allow his opponent to play the moves on his mind. Rather, his opponent was only able to react to Morphy’s moves. Sounds like a magic trick, doesn’t it? Another interesting fact is that Morphy understood these concepts and ideas 150 years ago! It is mind-blowing how he was able to do so, while many chess players of today still struggle to understand chess completely. You can check the PGN of the game mentioned at the end of the video here. A few days ago, I announced that a special gift voucher worth $15 on all RCA products would be provided for all those who rate our courses in Udemy and give their feedback. If you missed this, you can read it here. If you have enrolled in any of these courses, then all you need do is to study the course, rate it and write your feedback. Note: to write your feedback and rate the course (and to study our courses), you need to have an account in Udemy. If you don’t have one, it’s easy to create one – please see the FAQ here. You can see how to write a course review in Udemy here. If you have enrolled in all of the above-mentioned courses, great! You can write your feedback about all our courses. Be honest with your review, for it will help other students as well. Moreover, the special $15 gift voucher can be used in one of the following ways – you can either purchase a course and save $15 by using the voucher, or even get a premium video (worth around $15) for FREE! After you submit your review/feedback through Udemy, we will contact you within a few days and provide you with the voucher.